Childhood TB presents distinctive challenges to the healthcare services. TB is less easy to detect in children than in adults, but the disease poses very serious health risks. For this reason TB in children needs to be treated in a measured and appropriate way. Research: Child contact screening, a missed opportunity. The 2013 global Roadmap for Childhood TB: Toward Zero Deaths calls on countries to carry out contact screening among children younger than 5 years and provide preventive therapy to young children who are infected with TB but who have not yet developed the disease. In a recent study scientists from KNCV evaluated whether TB patients living with young children in Addis Ababa are being requested to bring the children to the health care providers (HIV, TB and child health clinics) for TB screening, as is recommended by the guidelines. The knowledge and practice in the health clinics on childhood TB contact screening and management were also studied. The researchers concluded that the screening of child TB contacts was not being carried out as it should be (‘was not optimal’), nor were the interventions to prevent them developing TB taking place. In other words, important opportunities to prevent tuberculosis in young children were being missed. This needed to be put right. Lessons learned from the study are now being discussed further by the Childhood TB experts in the Childhood TB Task Force. They will propose action plan to take forward and include in future TB work plans. The Cross Sectional Study Evaluating Routine Contact Investigation in Addis Ababa, Ethiopia: A Missed Opportunity to Prevent Tuberculosis in Children , conducted under TB CARE I, was published in the international peer-reviewed journal PLoS One on June 17, 2015. 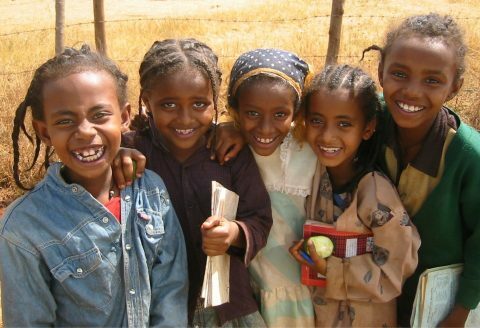 In March 2015 Ethiopia finalized its national childhood TB roadmap, after a process of broad program staff support and participation, which included representatives from the Ethiopian pediatric society, partner organizations and university staff. The roadmap is designed as a guide for all health services dealing with the particular challenges of childhood TB. The roadmap has been finalized with Technical and full financial support from Challenge TB and theLaunching Workshop has been conducted on July 30-31 2015 and the roadmap has been endorsed as a national working document. The pilot is planned following the development of Training, M&E, and provider support materials. A session is planned to develop those materials, likely to be conducted by October. In addition, a national working group has worked to include childhood TB as specialist theme in the national IMNCI document (Integrated Management of Neonatal and Childhood Illness). The revised IMNCI document now includes the care for children with TB in the management algorithm for addressing childhood pneumonia and malnutrition.